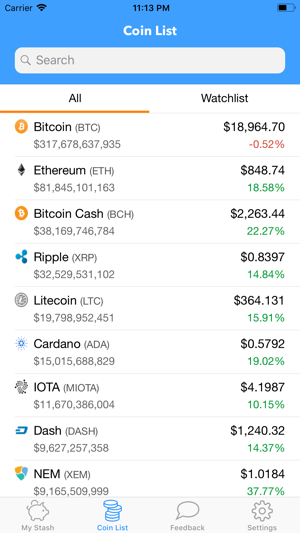 Also keep track of prices and market caps of the top 500 cryptocurrencies including Bitcoin, Ethereum, Litecoin, Bitcoin Cash, Ripple, NEO, Iota, Monero, Dash, Zcash, Augur, Steem, NEM, Dogecoin, Golem, Waves, Stellar, ERC20 tokens and more! 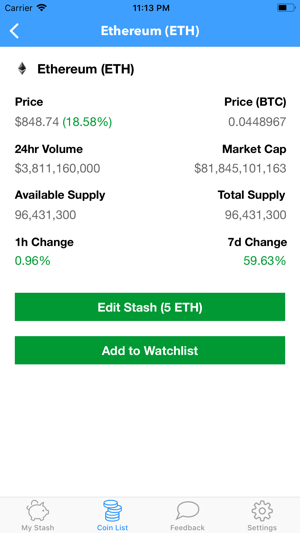 We've done a complete app rewrite to benefit our users! 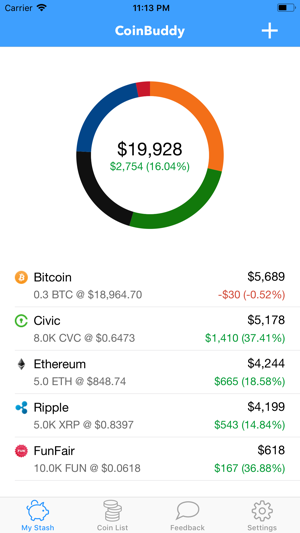 This is the best and most simplest app I've found for tracking my crypto portfolio. Snappy and fast, with reliable data. Right now it just tracks prices and portfolio value but that's exactly what I need it to be good at.